How long is the Dead2Red Relay Running Race and how long do I have to complete it? The Dead2Red Relay Running Race covers a distance of 242km from the shores of the Dead Sea to Aqaba City on the Red Sea. Runners have 24 hours to complete the distance, in teams of 5 – 10 runners or as solo. How long is the Dead2Red Cycling Race and how long do I have to complete it? The Dead2Red Cycling Race is 200km long from the Dead Sea to the Ayla Resort Oasis on the Red Sea. Cyclists have 10 hours to complete the distance, in teams of 3 or 5 or as solo cyclists. Do I run/cycle the whole route by myself? The Dead2Red was originally established as a relay race and most people still choose that option. We do have a Solo Category in the Cycle race and as of 2017, have introduced a Solo Category for the Running race. D2R Relay Running Race Categories: Solo, Freestyle Team of 5, Freestyle Team of 10, School Freestyle Team of 10, Semi-Marathon Team of 5, Semi-Marathon Team of 10, Marathon Team of 5. D2R Cycle Race Categories: Solo, Team of 3, Team of 5; each of which are divided further into Elite, Road Bicycle and Open Bicycle Categories. D2R Relay Running Race: The Solo Team is self-explanatory. Freestyle, Semi-Marathon & Marathon Teams of 5 have “up to five” members. Freestyle, Semi-Marathon Teams of 10 & School Teams have between 6-10 members. D2R Cycling Race: The Solo Team is self-explanatory. Teams of 3 consist of 2-3 members. Teams of 5 consist of 4-5 members. Do we have to be fast? It depends on how competitive you want to be! If you want to beat a record or would like to be on the podium, then it helps to have faster runners/cyclists on your team. However, the beauty of the race is that it is open to athletes of all abilities. The D2R is a prime opportunity for team building, achieving a goal with your friend group, using it as a fund raiser for an NGO, or even an excuse to get to Aqaba! How do we form a team? Teams can come together in any number of ways: form a team from your work colleagues, form a team from your friend group, form a team from abroad with the intention of also touring Jordan either before or after the race, form a team through your local running group, form a team from a combination of all the examples! We often hear of “lone runners/cyclists” looking to join a team and teams looking for extra runners/cyclists, so just contact us! The Team Leader is the one who takes more responsibility for the Team, regardless of being an active participant. He or She will be expected to attend the Team Leaders’ Meeting usually scheduled for a week before the Race where information is distributed, last minute fees and waivers are collected, and Race Bags are distributed. We will communicate to the team through the Team Leaders’ email and we will require their contact number for our WhatsApp group used during the Race. He or She may also be the one who arranges for the support vehicles, decides the order of runners/cyclists, distributes other responsibilities to the Team Members and is generally the “Go-To” person for the team. How long should each runner/cyclist run/cycle? D2R Relay Running Race: Solo runners cover the entire distance (242km) themselves. For all Freestyle Teams, there are no required distances per leg. For Semi-Marathon & Marathon Teams, each runner will have to run the corresponding distance (either 21 or 42km) before handing over the button to the next runner. For these two categories, any remaining distance after completing the required 21km/42km legs can be run freestyle. D2R Cycling Race: Solo cyclists cover the entire distance (200km) themselves. All other Teams of 3 or 5 have no required distances per leg and can choose when to handover or even cycle together. Do we have to submit the order of runners/cyclists? The order of runners is required for all Semi-Marathon and Marathon Teams. Any deviation of the order of runners must be reported to a Marshal. For Freestyle Running Teams and any Relay Cycling Teams, no order is required. How do we decide the run/cycle order? The order is entirely up to the Team! Having knowledge of the race elevation will be helpful as there is a very steep hill along the route. This elevation map is available on our website. Other considerations to keep in mind are the average pace of the participant, how well trained each member is, the time of day/night for each leg, how many vehicles you have, which team members are in the vehicles, etc. What if a runner gets injured during the race? There are different types of injuries! Any serious injury, the onset of an illness (such as the flu), or any other occurrence that requires immediate medical attention should be reported to the Marshals and the accompanying Civil Defense Authorities. A blister, sore muscles, a hangnail, or chapped lips can probably be dealt with among the Team Members. We recommend all teams have a small First Aid kit in each vehicle. If for some reason a member decides not to run/cycle their leg, the rest of the Team must make up that distance. It may mean completing the race with fewer participants. However, your team cannot change your Race Category mid-race. Can a Driver/Supporter help us run as substitute? We do not accept or authorize any substitutes in the race. If your team is caught with an unregistered runner/cyclist on the road, you will be disqualified. The Race is along a major highway, so as long as you don’t go off-road, you cannot get lost! The entry into the city of Aqaba and the Finish Line are marked with signs and arrows. We have Marshals posted at turns near the Finish. We also provide printed maps of the entry into Aqaba. “Mandatory Runner Checkpoints” are marked with a Marshal and strobe lights along the route. These are also considered “Safe Places” where runners can be dropped off or teams can have a snooze, or any issue requiring a Marshal’s attention can be addressed. Change-over locations for the Semi-Marathon and Marathon Categories are marked with spray painted numbers on the road. Are there water stations on the route? The D2R races are self-supported. Each Team must ensure they have enough water and food for the duration of the race. We do not provide water or other refreshments along the route. We run during the night, too? The D2R Relay Running Race is a 24-hour race, which means that yes, your team will run at night. We provide highly reflective safety vests to each team member (including Drivers and Supporters) and require them to be worn from sun down to sun up. We encourage the use of headlights for runners and highly recommend that a support vehicle drive behind the runner during the night. The D2R Cycling Race is a 10-hour race that takes place during daylight hours. We recommend that any team wishing to sleep along the route (outside their vehicles or in their parked vehicles) choose to do so at the “Mandatory Runner Checkpoints” which are also considered “Safe Places” along the Race route. Are there shops open along the way? We recommend that all provisions are packed in the vehicles before you start the race because we cannot guarantee that any shops will be open when you are running low on supplies. We have noticed that lately, some shops/coffee kiosks have remained open during our race, but do not count on this! What if we run out of gas/petrol? We recommend that every team arrives at the Start Line with a full tank of fuel. There are some gas stations along the route, and to be safe, we also recommend that you fill your tanks at every opportunity. A list of locations is provided during the Leaders’ Meeting. You will find bathrooms at the Start Line. We do not provide bathrooms along the way. You might find bathrooms at some gas stations, but again, we cannot guarantee that they will be open, what state they will be in, if they have paper products or soap, etc. Therefore, please bring along your own wet wipes, hygiene gel and paper products. The phrase, “nature calls” is your mantra as the entire desert is available to you! There are creative ways that people who require some modesty have devised over the years, such as: asking a team mate to hold a sheet/towel around you, cutting the bottom out of a pup-tent, using any of the devices available on camping websites. We do not provide and are not aware of any showers available along the Race route. Who provides the support vehicle? Each Team should arrange for and provide their own support vehicle(s). Where can we rent a van/car? Vans and cars are available for rent form various companies in and around Amman. We do not have any particular recommendations of rental companies. How do we get to & when should we arrive at the Start Line? The D2R Relay Running Race has an iconic Start Line near the Wadi Mujib Bridge. The D2R Cycling Race has a Start Line near the Arab Potash Company Factory. We provide a pin location for the Start Line for each Race via Social Media and the WhatsApp Team Leaders’ Group, as well as it being indicated on the Race Elevation Map. The Team should arrive together or at least agree to meet up at the Start Line approximately two hours before the Starting Time. There will be a Final Check-in procedure that the entire Team must be present for (including Drivers and Supporters) in order to be considered registered for the Race. The D2R Relay Running Race starts at 4pm (4:15 for School Teams) in the afternoon, so teams should arrive by 2pm. The D2R Cycling Race starts at 6am (6:15 for Teams) so teams should arrive by 4am. 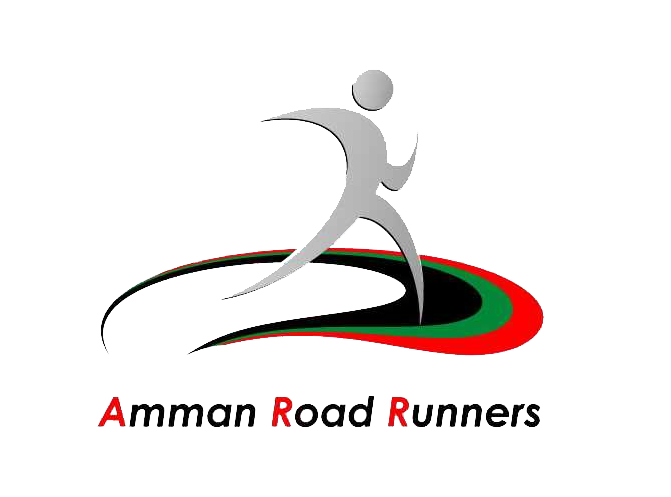 The safety of each participant along the Race route is of the utmost importance for the Amman Road Runners Committee. We notify all Authorities along the route and welcome the Civil Defense, Police and Military who follow along with us for the duration of the Race. We also rely on the best practices of our participants in the Race. Everyone should know that we run/cycle WITH traffic along a major and active highway. We ask that no one risk the safety of others or make it difficult for us to permit the Race in the future. All road & driving safety rules and regulations will be enforced by the Police. Participation in our Race does not preclude you from following all Jordanian laws. The Police will issue citations for breaches of these laws. Can I run/cycle with headphones/earbuds? We do not recommend running or cycling with headphones or earphones. Being aware of your surroundings and being able to hear the oncoming traffic is part of your safety during the Race. Do you allow pacers on the race? We do allow pacers to run/cycle with the Race participant. Do you have cut-off times? We do not enforce cut-off times along the Race route. Teams who are lagging behind may receive guidance from Marshals as to how to change their approach to the Race in order to finish within the time limit. Do you offer road assistance? We do not offer road assistance for cyclists who need help fixing their bicycles. We will attempt to assist vehicles that may be stuck in the sand by offering a pull via tow-rope. We also provide jumping cables to some of the Marshals in the case of battery failure. We do not change flat tires or assist in the repair of mechanical problems with support vehicles. Are there special hotels for racers? Often times, we have special offers from our sponsoring hotel, the Movenpick Aqaba City. On the off-chance that they are unable to accommodate us, we will try to obtain offers from the Movenpick Tala Bay, or other hotels in the area. You are free to make your own overnight arrangements at the many hotels in Aqaba, at many different price points. We have a large, safe Start Line for any spectators. The distance and route of our Race doesn’t make it easily accessible to spectators. The Finish Line of both the D2R Relay Running Race and D2R Cycling Race is available for spectators. We also have a large buffet Celebratory Dinner included in the price of the Race registration and available for purchase for any other Supporters or spectators. I would like to participate in some way, how can I volunteer or marshal? We’re so glad you asked! We are always looking for experienced participants to help Marshal the Race. Many times, runners will Marshal the Cycle Race and Cyclists will Marshal the Running Race, or vice versa! We always welcome first-time Marshals, too. We offer a competitive Marshal Package to those who volunteer during our Race. We ask that you provide your own vehicle and “car-buddy,” but we can also provide a companion for you. We find that people who join us for one Race often times come back every year and many will Marshal for both Races.